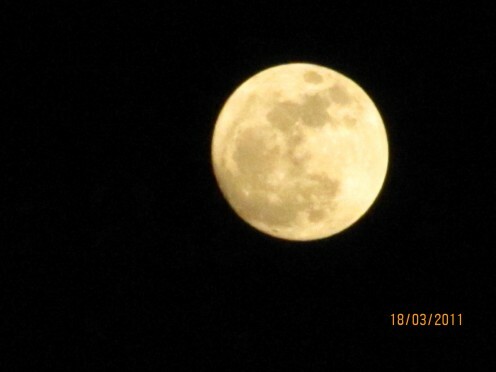 Have YOU noticed any irregularities with the Moon? Only recently, when I began writing articles for Hub Pages (15 months) did I realize the full extent of the censorship of information concerning Nibiru and the Polar Shift in 2012. This article Moon Orbit Earth Wobble 2012 is an attempt to reveal the censorship on the topic of Polar Shift due to Nibiru Planet X. For years I have been reading in books about the ancient Sumerians and The Planet of the Crossing (Nibiru), the Hollow Earth theory, Piri Reis map and the Ancient Pyramids but until I bought my first computer in January of 2009 and joined the World Wide Web, I had no idea how thoroughly the net of censorship on this planet reached. 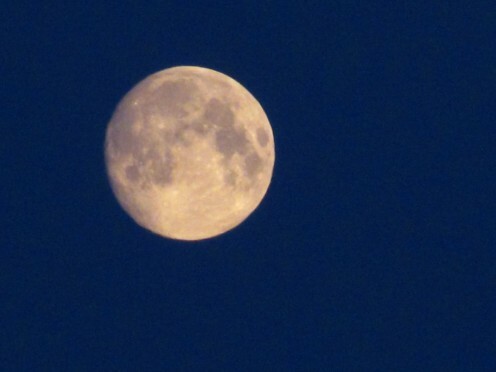 In this article Moon Orbit Earth Wobble 2012 I will reveal my recent observations of the Moon and how it is connected to the Earth's Wobble in 2012. 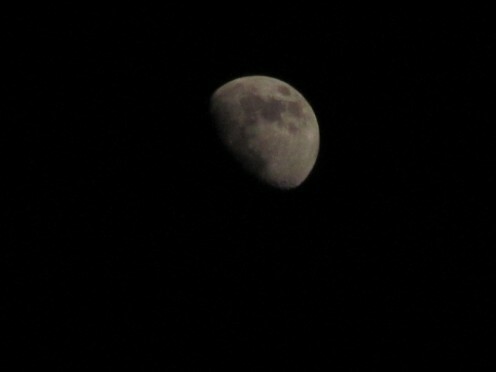 Using a digital camera to chart the Moon's position in our skies for the last year I have realized how erratic the Moons orbit has been. This realization on just how erratic its orbit has been began when I began searching for it everyday and night and then I began to recognize that it seemed to be out of position according to what I had always been taught. 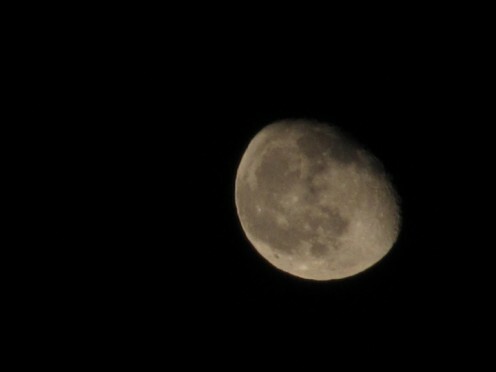 So I have been teaching myself to take photographs of the Moon at night and sometimes during the day also and the sun. 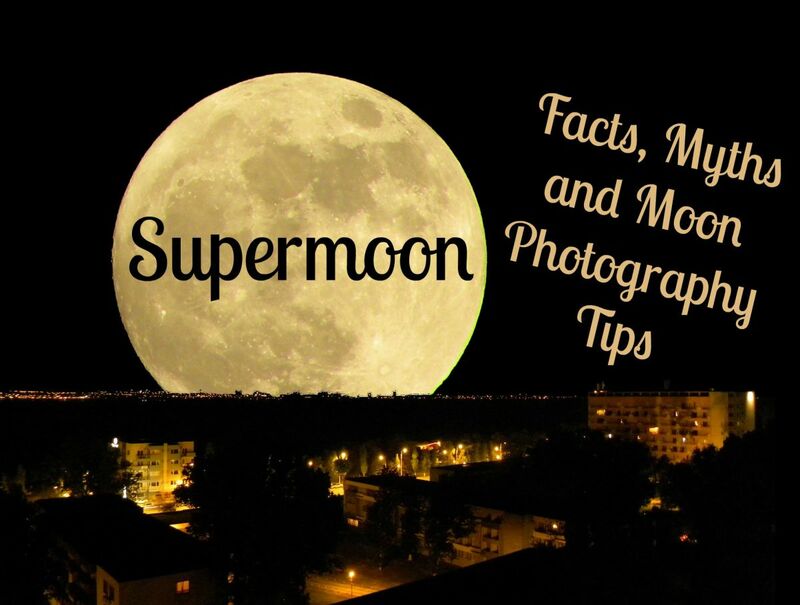 I began asking co-workers, friends and family if they had noticed anything different about the Moons orbit or the position of the Sun and much to my surprise learned that many people rarely bother to look up. Most people prefer to get their important news and information from their TV's and never bother to observe their night skies. This revelation seemed odd to me until I began to realize how lacking the common man's knowledge of the Earth, Moon and Sun is. Many reasonable informed and very intelligent people, including family and friends lack the simple understand of how this planet works and the solar system in which this planet resides, they seem to rest assured that anything of importance will be conveyed to them if they watch the news on TV. They quite literally do not even realize how much information is censored and with held from their consumption. The ancient Sumerians knew of the planet Pluto and even inscribed it on their temple walls and yet modern society did not recognize its existence until 1930 when Clyde Tombaugh an amateur astronomer found it while searching for Planet X using the 'Blink' method (still used today). Many people claim that if it did exist that the public would be informed, however if it has anything to do with National Security would the public be informed, doubtful. If revealing its existence would confirm the Alien presence would the public be informed? If revealing its existence might cause World wide panic and a breakdown of the infrastructure, would the public be informed? Many people claim that if it did exist we would all be able to see it, can you see Mars during the day? You can see Mars at night if you know what you are looking for, but to get a clear look you need a telescope which is not an everyday household item. Although Nibiru has 23 times the mass of Earth it is not that much bigger, just denser. Nibiru has a very large dust cloud surrounding it that reflects the Suns light making it appear much bigger when seen and photographed in Sunsets. Many people claim that if it truly existed then there would be more seismic activity, volcanoes, tidal waves, it would change Earth's orbit, etc. My contention is how would you know? The number of earthquakes the Earth experiences on a daily basis have more than doubled since 2003, we now experience over 200 daily. There are more than 5,000 active Volcanoes on the Ocean floors, yet only around 150 on the surface. There has been estimated that there are over 3.5 million cracks, openings and fissures on the Oceans floors, allowing the heat from our molten core to dissipate into the Oceans. When a crack or fissure opens in the Earth in say India, Kansas or South America does it make the evening news, doubtful. If the Earth has changed its orbit and scientist in the World decided in the best interest of humanity the public shouldn't be informed, how would you know? Have we not seen an increase in tsunami's and tidal waves? Have we not seem more coastal flooding, rivers backing up, rogue waves destroying ships and creating havoc with maritime navigation systems? Two Moons Get Real explores the disinformation around recent articles on the internet espousing the concept that Earth has always had two Moons. It helps explain how disinformation is spread and why and shows why the public should not panic. I certainly do not intend to imply that I know all there is to know on any given subject but those that interest me I endeavor to explore, research and investigate. I try to keep an open mind on any given subject as I have found that it is easy to miss obvious conclusions if you are looking for specific answers. That being said I have endeavored to find out what is Nibiru, how it has affected the Earth's orbit and the orbits of other planets in our solar system such as our close neighbors Venus and Mars. Contempt prior to investigation is a concept I always reserved for the ignorant and yet I have found this trait to be prevalent in most adults. For some reason I'm not completely sure of most humans become complacent in a set of World views and hold onto them for dear life. Any information that deviates from those set of principles or World view is either discarded or ridiculed and rarely are they given consideration. The Moon's orbit is something we grow up with and is a part of our daily lives and yet we as a species rarely give it a second thought. We may notice it on an evening stroll or while driving somewhere but how often do we note its appearance, its position or even recognize the phase it is in? Since I began writing about Nibiru and the Polar Shift I have learned a lot about the Moon, facts I didn't know, discoveries made about its composition and even learned the different phases it goes through on a weekly, monthly and yearly basis. Does this make me an expert, not by any definition I can think of, no. However the one thing that I have noticed is that in the last year its position in our sky has changed dramatically and the tilt that we see it in during the phases has changed. These and other factors have helped me to confirm the Polar Shift that is occurring to this planet, which has also opened up many other avenues of investigation into the affects Nibiru is having on our planet. Do I know the all the facts about the Planet X or Nibiru, (as I prefer to call it), no, does anyone, doubtful. However based on the writings of ancient civilizations, research, reading and investigation it is fairly logical to deduce that a concerted effort to suppress information has been made. 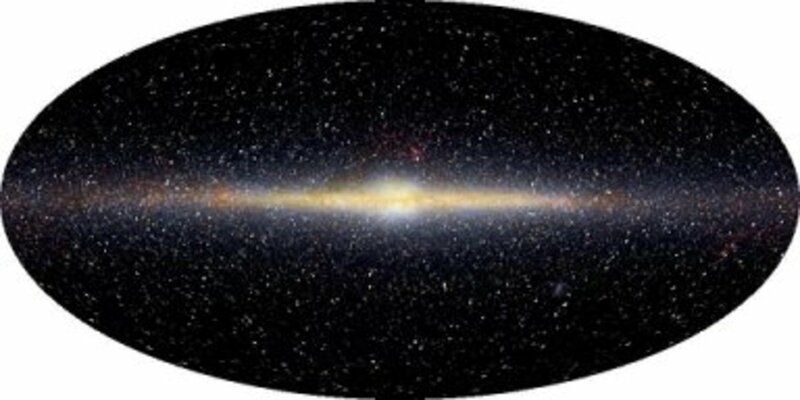 Certainly many people know of its existence and I'm sure they would love to share that knowledge with the World, but when noted scientist, astronomers and researchers die mysterious deaths those in the know take notice. There are many reasons Nibiru cannot be seen at the present moment but let's just consider how many reasonable informed and intelligent people haven't even noticed the odd position of the Moons Orbit of the Earth's Wobble in 2012 or its unnatural tilt. Because most people still get there information and news from the TV they have in effect limited their perception to what others deem newsworthy. They have in affect allowed others to do their thinking for them. Consider for a moment how many people are unaware that on the morning of 9/11, probable the biggest news event of this century and watched by millions Worldwide, there was a Hurricane the size of Katrina (the Hurricane that destroyed New Orleans) 75 miles off the coast of Long Island (Hurricane Erin). This kind of censorship has made me aware of what is not being said about Nibiru and the Moons orbit and Earth wobble. My point is, of all the information written and reported about the events of 9/11, this Hurricane (Erin) to this day (more than ten year later) is still widely unknown. If an event is censored from the TV stations and newspapers how does the general public find out about it? Just recently Dublin, Ireland was the victim of major flooding from river overflow and yet many people that live in England didn't even know about, let alone America. If it doesn't make the news then most people are unaware of it and this is certainly prevalent when researching what is Nibiru, the Earth wobble in 2012 and the Moon and the Sun. The Earth Wobble is mostly related to the Precession of the Equinox which takes approximately 26,000 years to complete one complete circle. This wobble is caused by the Earth's reaction to the gravitational pull of the Sun and the Moon. What is occurring is that the Earth wobbles on its axis, it does not spin straight up on down or north and south. This wobble, known as precession changes over time to point the axis at different parts of the sky or constellations. Currently the Earth's North Star is pointing near Polaris in Ursa Minor, so we call the North Star Polaris however 5,000 years ago for instance it was pointing at the Draco Constellation or Thuban. Many ancient civilizations knew of this precession and based much of their understanding on this, of course the question is how did they know? I could easily write a series of hub articles on that subject but suffice to say they had some help. My understanding of how Nibiru is affecting the Earth is that now this wobble has become more pronounced and that is what is causing us to see the Moon out of place. This is what is causing our Poles to shift their current known locations also. What is also occurring at the same time is the Earth's mantel is moving, these movements are imperceptible to humanity. We may feel them on an instinctual level but we cannot recognize them without a reference point to guide us. Since many of us do not watch the night skies, nor do we know astronomy all that well, we do not recognize when these wobbles change our perceptions. Because the media is limited to what it reports to the public most of humanity is unaware that a coverup is even taking place, let alone that the Earth's wobble has changed. 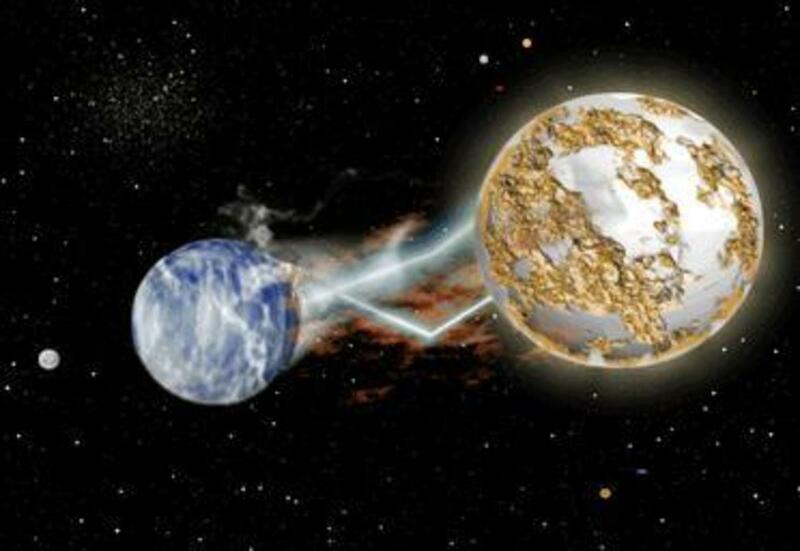 For anyone to accept Nibiru as real they must take into consideration all of the events it causes to the Earth, not just the ones they can prove beyond a shadow of a doubt. What one must always consider is that a coverup is in place and has been for longer than most people have been alive, meaning they have grown up with this deception firmly in place. Moon Orbit Earth Wobble 2012 is just another attempt to awaken the masses to the deception of reality that has been in place for decades and perhaps even centuries. The Powers That Be feel they have the right to decide what you believe, and perhaps with the best of intentions. However as my Mother is so fond of saying . . .
Been over 12 months since last post, weather a bit different now, dry, drought here, worst ever many parts of Qld and NSW, many big Dams near dry, etc. I've been digging for water for some local pastoralist's, lucky there is still underground water in some valleys. Records broken every week, far too many to mention. Big fires a problem, record rain in northern Qld, then floods in drought areas with very poor condition cattle, killing around 500k. My Dragon fruit had 3 crops this year, normally only one. One mountain in Victoria had destructive fires and snow the same day this month. The US weather has been in our news. I hope 2018 is turning out okay for you and family. All good here, having good rains, so country and cattle a picture. You may know South Africa is in 3rd year of drought. NW West Australia receiving record rain, links below. Many records of all types broken last year. Great news of your location, I'm ok as well, 60mi inland, 220m above sea level. In southern Oz, best snow for a decade, snow in Tassie in spring! WTF? Perfect spring weather here in central Queensland. Cheers. Yeah, I'm in a good spot well inland so Hurricanes won't effect me and far enough away from the NMFZ for any major EQ to do much damage. Did get some good shots of two Suns during a recent Sunrise, which was cool. Hi S'Blue, Hoping you are above the water line and not blown away. Here in Oz we have had weather records broken almost every week for months, far too many to report. More drought conditions looming. Haven't checked the wobble for a long time, sill no sighting of P'X. PS, Sorry, forgot to mention that 87% of Queensland, including here is still drought declared. Stan. Another long time has elapsed, hope you are still in the land of the living! Seems you have had some different weather in your area as well as here. The link is a news item by Tom Saunders, pretty much describes our weather for the past few months. Nothing much has changed in my life, should be retired but what would I do. The shadow on the house wall in Dec was still the same this Xmas. Great to hear from you will probably be publishing a new Nibiru Update tomorrow. Yeah, still slaving away as a graphic artist but have really been into this Full disclosure thing. Good to hear you are still around, hadn't gotten a report from OzTrailYa in a long time, so it is good to hear from you. A long time, still busy, divorced, property settlement, back to work in WA, building my special shed/almost a bunker!! Contract work with Truck and machines, etc. I hope you are going well, still a Graphic Artist? Sun position was the same on the 21/12/15 as it was same time in 1995. Current wobble approx. 23deg. Aust broke around 154 weather records last year. This year, 2016, very hot, I love this global warming, our Mango tree is still producing fruit, April, normally finished in December. Day temp still in the 30's. I have a full complement of road building and some agricultural machinery in the shed when not in use. I notice NASA is slowly admitting the heavens aren't as they should be. Maybe ISIS and co will be the next biggest threat to our livelihood!! and what are you insanely busy doing? my thoughts on Nibiru has changed I will have to write a Hub describing it, but suffice to say the playing field is becoming level. Thanks Brian, for the link. I have some info to add sometime when I'm not insanely busy. just fount this link for earth wobble, 12 hours just as Stan said. http://www.ssec.wisc.edu/data/geo/index.php?satell... hope this helps. Sorry, just lost what I wrote, will try again tomorrow. I don't measure it to the degree you do and just trust my instincts but I will say that the midday alignments seem to appear way off in terms of the Sun being it different parts of the sky in very short periods of time. I am constantly checking the position of the Sun every time I'm outside and have noticed that it will almost 'jump' to different 'angles' (degrees) in the sky in relatively short periods of time. To me this is just the increase in the Earth Wobble. Do you know much about the Montuak Project, time travel and stargates? The reason I ask is that I beginning to wonder how much of the future is known, how many Aliens are living here now in the guise of humans and if we have any say in our own fate! Has anyone on this site noticed or heard of the morning midday and midday evening sun angles being different? I have set up an 8 sided plate marked with the compass points and a 12mm round post in the centre. I used a digital level to true it up. My intention was to have an easier way to check Earth wobble. I aligned the plate east west with the AM and PM sun, equal times each side of midday, 0700 and 1700hrs. I then found the 1200hrs shadow was 9.1deg east of south. Next I aligned south with the shortest shadow at 11:42hrs. Today I marked the plate at 06-42, 11-42 and 16-42hrs. I thought the two angles should be the same but the morning angle was 103deg and evening angle was 77.5deg. Wobble is approx. 20.3deg. Please comment if you have any ideas. I live in Qld, Aust. just below the Tropic of Capricorn. Maybe the best sun pic is in this ABC photo link. Great to hear from you after so long, I'm thinking a couple years as well but not based solely on what Nancy is saying but other sources as well. I think they are certainly trying to start a War but outside sources are stepping in, clearly there are many factions lining up to stop it from happening. MH17 was just the latest attempt. Can you get me any picture of what the Sun is looking like down under? Been a long time, I've been very busy and hope you are as well and keeping out of mischief. The link shows we had 156 summer records broken. This winter was very warm early, then bad frosts killing some native vegetation. We were picking mulberries till the middle of June, instead of about March/April. On the 21st Dec last at 06-12hrs the sun rose at the exact same place as in 1995, according to the veranda shadow on the house wall. Nancy is now suggesting several years until the pole shift. I believe our biggest concern is war, including Muslins, and famine. That is a lot to digest, you obviously like to write you should sign up and begin enlightening us, you would have one follower already, although you might want to proofread as you had many grammatical errors. I agree that having a relationship with the Creator of All and learning to forgive is a wise step in the right direction. The important things is to get the information out there regardless of the source. Also, thanks for the site. I don't care if you derive your information from elsewhere or not. The point it's that you're willing to talk about things that others simply can't come to terms with, but need to. Simply deciding that nothing it's going to happen won't make it all go away. Being scared won't help either. I recommend opening a relationship with God and forgiving people that have wronged. Clinging to this material world it's the cause for ignorance in the first place. Chemtrails are another reason for wising up. Our governments take our money to build wespons that they use on their own poulace. That's treason and punishable by death. Chemtrails=nanofibers=endless applications. If interested search LENR reactors. Nanofibers can efficiently store solar energy, producing light with micro fiber optics utilizing mobius strip technology which can emit or block light. The same mobius strip technology is used to render strains of kirigami-spliced bacteria capable of self replicating whole fibers. They utilize supra-magnetic iron oxide that can tag and spy on anyone, anywhere having ingested them (functioning in the same way as mri machines). The bacteria harvest iron from you and oxidize it. That not enough? They can manipulate them via remote. Thanks for tax $$ well spent DAARPA and HAARP. So I posted my comment before reading further to notice that only one person said idiotic stuff. Happens a lot, so i get trigger happy. I have recently been looking into moon anomalies but Nibiru interest began summer 2012 dye to a feeling about a star that filled me with terror. Immediately I correlated it to wormwood. As i am not a churchy or bible reader this was odd to me. After that i began to delve furter. As for paying attention to the sky, this is something ive always done. 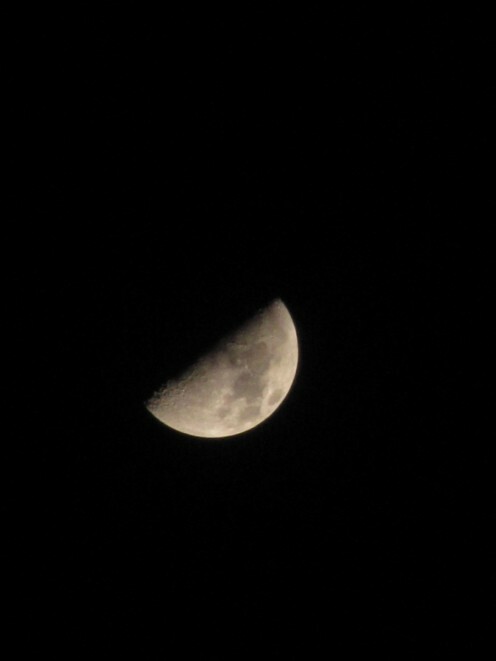 Knowing that something is not right with moon appearance should come as obvious because it doesn't correspond with anything i was taught in school. 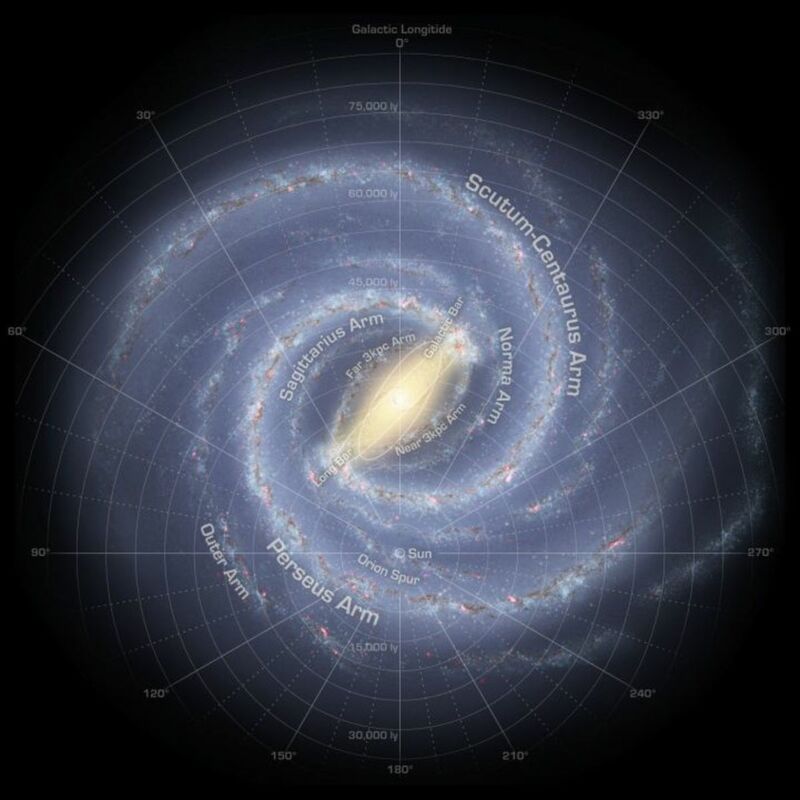 From there it gets easier to understand the nature of what we're dealing with.Fact that most planetary systems are binary implies that a gravitational counterforce is necessary to balance an otherwise unbalanced equation. The problem is that it's an equation whete our sun represents the greater than side. This concept yields an understanding that cataclysm is involved (outer planets rings, asteroid belt). This shows us that this unseen cosmic bodies has a tendency to draw moons into it's gravity well. Lastly, brown dwarfs are red. If you've ever read revelations than an eclipse by this type of star bears an eerie resemblence to the details of its contents. Some people are willing to say things that are so stupid it hurts. Nibiru is coming dummies. What do you think is responsible for said wobble/precession in the first place? 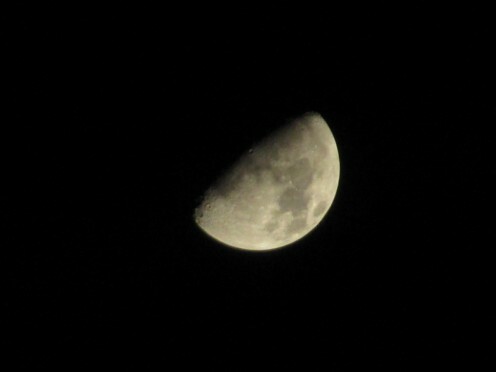 The moon? A body with a closer proportional relationship to our sun. If the affecting body has mass less than the earth, that wobble would stabilize. 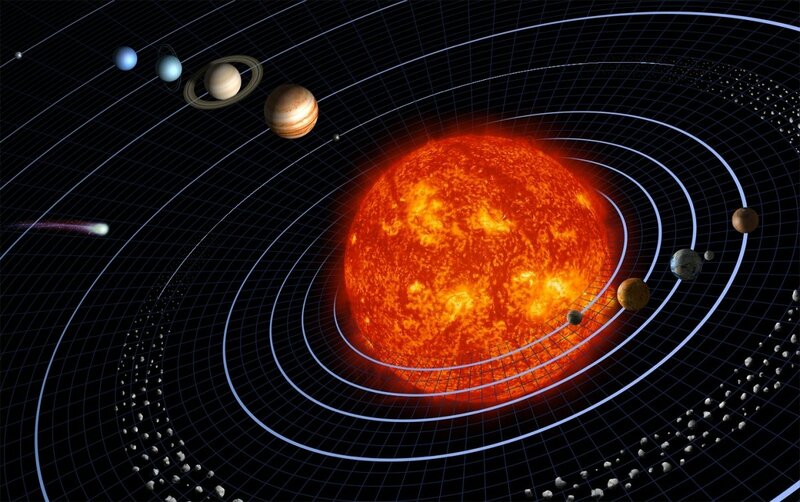 Nibiru is an obvious logical deduction due to other phenomena within our solar system. Retrograde planetary orbits is a orime example. Need something better? IRAS telescope discovery/retraction 1983. Pluto's anomalous orbit is another. Pluto orbit/earth precession is how they triangulated Nibiru in first place. So if one is going to post commentary they should first calculate exactly how stupid they are, accept it and then bury their heads in the sand and pray th their phony white Jesus to make the mean people to stop picking on them. The Perseid meteor showers will begin at the beginning of next week but what I'm talking about is more in line with Full Disclosure of the UFO/Alien Agenda and Nibiru Planet X which I believe will begin this month and become increasingly obvious to those paying attention. From today until about the Spring of 2014 the Old World Order will crumble and the Harvest/Ascension process will play out with the Polar Shift right in the middle of all the chaos. So what are we talking? Days? Weeks? Months? Years? Any clue? Someone told me to be watching the skies at night because a huge meteor shower was going to pass by and send fireballs shooting to the ground. What are they talking about? I hate being alone. Repost. I haven't any idea on the timing but there isn't any reason for the PTB to disclose anything, as long as they are prepared that's all they care about. So why create problems with disclosure. I'm beginning to think that the ascension/harvest will come very suddenly in one day and that the Pole Shift will be a small part of it almost as a catalyst during or after to help those sitting on the fence. I think The Powers That Be may just continue to ignore it right up until the very end. All good, you'll get there. I did a wobble check yesterday, 26.88deg, up from 23.35 on Oct.4. 2012. If you would have listened to me, you would not have this problem. I could have showed you how to have a 2-sites-in-one combo - a main site and a separate blog, but no, you went with some other crap instead. I'm am intending to do a lot of stuff to it but am still figuring it out, for instance how to leave comments. Congratulations on your Web site. I find it well laid out, easy to follow and the content is well worth the read. I agree with most of it. Are you intending to put a counter at the foot. Hey Stan check out this website and tell me what you think? I've been reading this Aussie mag for a few years. This latest issue has a story which may interest you, try page 70. Costs less the US$6 to download. Yeah I have been monitoring the situation down under, not pretty. A bit more reading for you mate. A new article on ABC Science that could be of interest to you. Also your comment on the Aussie quake is correct, 2 in 1 year, none in 50 years. and yet it was pretty big wouldn't you say? The only news article I found on the NT quake. More record rain in NW WA. I'm sorry but I really enjoy it when some brain dead imbecile writes here with a preprogrammed half baked rant of s**t, just to read your beautiful comments which always give me a laugh. This one also bought I'Mundane out of the woods, all good stuff!! Continue having a great weekend. He definitely specializes in inane drivel, my lord, if ever the phrase 'get a life' has any meaning it is with the lame, pathetic prattling this person engages in, at least Gruber had some intelligent commentary. For all we know, TTT specializes in ladies underwear - which is a fair assumption going by "its" current profile; ha-ha! Stan, what its the old saying about the dog that barks loudest is usually the guilty one? I found out about the Earth Wobble from Zitchin in 1980 and after reading Worlds In Collision a few years later. However Hancock mentions it in his book Fingerprints of the Gods, as do many others. I grow weary of reading the inane drivel this sad excuse for a so-called 'insider' prattles on about. TTT get some new material dude, you carry on like a young child that wasn't breast fed long enough. TTT, how much is Zeta talk paying you? And for what purpose? Have you ever considered that out of the billions of people in this world that it is possible for more than one person to come to the same conclusion on any one subject? Still plagarizing ZetaTalk I see. How come you did not bother to mention how YOU found out about the earth wobble? Is it because YOU, somethgblue, did NOT discover the earth wobble but got the info from Zetatalk.com and do not want to admit it? ONLY the Zetas revealed the earth wobble, not this joker who is only seeking attention for HIM! Each time you fail to mention you found out about the earth wobble from ZetaTalk you are PLAGARIZING, again! These will definitely go in the next weekly article, thanks for the links, stay safe! Looks like the whole climate is changing down under. WOW that is some staggering statistics for areas that don't see any rain fall! Record rain in West Oz. Record rain for the first day of winter in Melbourne. Good to see your still sparking on all 8! Yes, about a month ago I posted three links from the same day, record DRY, HEAT and RAIN in Oz, plus some other stuff I wrote. Unfortunately I lost it when signing in, my mistake, and never had time to to re-post it, sorry. Using critical thinking, past life experiences and the ability to research and read large amounts of material on this subjects since the early 70s finding the truth is fairly easy. Zitchin's 12th Planet was written in 1976 almost twenty years before Zeta Talk was introduced to the public. Velokovsly's World's In Collision was written in 1950 almost 45 years before Zeta Talk. Marshall B. Gardner's Journey to the Earth's Interior was written in 1915 almost 80 years before Zeta Talk. So you see many people were way ahead of Zeta Talk, the poleshifting.com you keep referring too I don't even bother with as it is just a bunch of folks blowing hot air, much like you are. When you write an article describing your so-called 'inside knowledge' then I might begin to consider your ramblings as worthy of my attention, until then I will tolerate your childish rants only so far. Good to hear from you Stan any more unusual weather I should be made aware of? I'm not sure who you are directing you comments to but as for me I've witnessed the sun movement since about 2005. Obviously the sun can't move to the extent I had noticed so the only other conclusion is the the earth had a wobble. After checking the wobble through the day and also the night, I was able to ascertain we were on a 12 hour wobble which increases and decreases over a period of time. I found this was easy to work out without any help from others. With this view in mind, I can't see any reason why somethgblue couldn't have come to the same assumptions on his own accord. When are you going to do the STO thing and ADMIT that your ideas almost all come from Zetatalk.com and poleshift.ning.com? It is plagarism to repeat what the Zetas have stated without saying it was not YOUR idea. 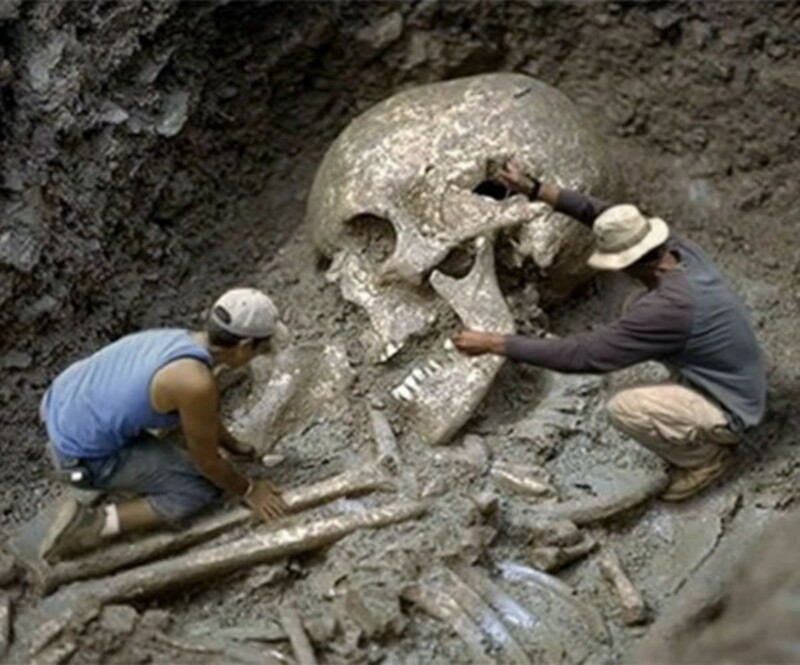 The Zetas stated that, among many examples of your plagarism, that life will go back to around the 1800s. It was ZetaTalk that revealed the earth wobble! NO ONE ELSE! So how come you are not saying that every single time you mention the earth wobble? That YOU learned about the wobble from ZetaTalk and did NOT think of it yourself!? Furthermore, you must provide exact links to information you took from ZetaTalk to be in compliance with the DMCA. Just saying from ZetaTalk is not enough! Do you actually think you are an STO soul who will graduate to 4D as the Zetas have explained? I DOUBT IT! Your actions reveal this is all about you! This is all about getting attention for YOU! And you do not care whose efforts and work you must steal from to get it just as long as you get that LITTLE TINY BIT of attention. You know the poleshift.ning. com site you also steal from gets about 45,000 page loads a day? You know that don't you? So why would anyone care what you have to say when all you do basically is STEAL the ideas of others? Did you plagarize in college too? Assuming you actually went to college?! How's life with you here? Ok with me but cooling down as winter is too close. Drought out West, maybe worst situation ever for them. Still warm in the west! Hot and wet broken records. Thanks for the update will definitely have to add that to my next weekly series. No, until this year they are extremely rare, was five on the mid Qld coast just before the record flood early this year. There is normally a lot of indestructive willy willy's. My bunker is still held up because of wet weather and soggy access road. Still raining. Northern New Zealand's drought is worsening and now into the south Island. Cheers. Are tornadoes common down under? Hadn't hear much from you howz it going? Another one for you mate, Cheers, Stan. Wow still hot down under, I was on vaca doing some skiing and have been out of the loop, kinda on purpose needed a break from everything! And March heat records broken. Thanks for the heads up Stan, I'll look into it! Australia's summer temp was a record high, including Hobart. Now March average rainfall broken in several centers in 3 days. The link is to updates on the unprecedented East coast rain. Not as good as Sandy but never before here. My rain gauge measured 127, 146 and 477mm for the 3 days, being 18.75" in 24hrs and 29.5" for the 3 days. About our annual average. A friend over the East range had more and suffered greater damage. 20 years ago we had a cyclone with 12" rain in 36hrs. Cheers. Yes, up till about 4 weeks ago but never any luck. Haven't tried a floppy but welding lens, window tint and solid blocks, all times of day, to no avail. Since about 2005 I've seen the sun, moon, Orion, Venus and the southern cross rise and or set too far south, taken wobble readings to 28deg in 12hrs etc, but now I have another puzzle. In 1995 I marked the sun rise shadow from a veranda post on the house wall for some time including the 21/12/1995 at 06-12hrs. I remarked it again on the 25/12/2012 at 06-13hrs (had some cloudy mornings before Xmas) and the shadow had only moved 8mm south and 6mm down from a distance of 3150mm. That calculates to 0.145 and 0.109deg, which could come from the 4 days of different readings. PS, We've now had about 8.5" rain, will slow the shed/bunker progress a bit. Thanks for the links Stan I'll check them out, hey have you taken any pictures or tried to take any pictures of Nibiru Planet X, I suspect sunrise would be the best time where you are? Yes it has been a bit warm but only around 100deg.F here and very dry, a lot hotter in the rest of Aus. Now none stop rain, over 7" here, much more on the coast. Still fires burning further south. Cheers Mate, and yes more broken records. Yeah but we know better, getting a little toasty down there how are you doing? There is also a lot of talk about climate change causing the extreme weather. Cheers. S'blue, if you like it hot, come to OZ, it is only early summer yet. Not at all, even the 3.6 mag 30m SW of here. Probably volcanic ash disrupting air travel would be our biggest worry. With all the large earthquakes and volcanic activity in the Indonesia and New Zealand area, how does that affect where live in OzTrailYa? Yes, Somethgblue, good to see you survived Xmas break. Eucla, 48.1deg, 22 above average and a record. Haven't heard from you in ages! Trust all is ok and the establishment hasn't hobbled you. Link is to an ABC article on ocean warming and shark attack's. Have a great Xmas, Stan. Aus weather going crazy, storms, rain, hail, hot, cold, much damage, right across the country but below the 26th parallel. Cheers. Hottest spring day on record in Vic. These storms are a bit unusual for the SW of WA. I know southern England receives a lot of rain in winter but I think this wet is exceptional! On Aus news. Yes, silence seems to be the latest tactic. They are going to have to disclose what they know soon, cause before long it won't matter and no one will believe anything they have to say! Just the usual Aussie weather, hot, cold, wet, dry, storms etc. One event of note was a severe damaging storm in Brisbane. The forecasters coped a blast for non prediction, noted in the papers but not the Internet. Yeah I noticed it as I don't get my news from mainstream media sources! But thanks haven't heard from you in a while any other interesting weather going on down under? This hasn't made the What's Erupting site yet. thanks Stan this was good link and I'm sure I will explore it. somethgblue, You may find some of the links in this ABC science update interesting. Cheers. Negotiator, Why not travel to Venice and witness the 2feet of sea water running through some shops or visit Vietnam and see about 40,000ac of farmland inundated with salt water, then tell us this is normal!! what is this a form letter you wrote the exact same thing on another hub? It is happening now, maybe you don't read English so well either, eh? Okey So when does this all going to happen. I live in Amsterdam, and over here we don't see nothing strange. To me it seems like everything is happening in the USA. Why don't other leaders over the world expose planet X or Nibiru or the pole shift!?? Another Storm, Sydney has copt it as well. Yeah it occurred here in America as well, however I'm not buying the ice crystals explanation otherwise you would see it more often.